I’ll be the first to admit that freezer cooking saves us a ridiculous amount of time and money. I’ve gushed to complete strangers before about the benefits of freezer cooking. Most of my friends have adapted this super easy solution to busy weeknights and tight grocery budgets too. But there are things you should never do when freezer cooking. Let's run over the five worst freezer cooking mistakes. If you commit one of these freezer cooking mistakes, you’ll not only hate freezer cooking but you’ll waste time and money. 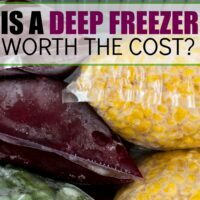 As much as I hate for you to waste time and money, the real shame here would be that you likely won’t try to freezer cook again which means you’ll give up tons of future savings of both time and money! Fear not! That’s why I’m here. I’ve been a diehard freezer cooking junkie for a few years now and I can steer you in the right direction. Never batch cook a new recipe. Ever made a recipe that fell a little short of your expectations? I love enchiladas so I didn’t hesitate to make 6 batches of a new enchilada recipe. It turned out that none of us liked it and we then had 5 more sitting in our freezer. We ended up wasting money and time making them. This could have been easily prevented if I had made one of these to test before I batch cooked them. Did I learn from that mistake? Nope! I did the same thing the next month by batch cooking sloppy joes. There are two main types of sloppy joe recipes, tomato based and brown sugar based. I love the brown sugar based, and not so much for the tomato. We had four dinners worth of the tomato style to get through because I didn't test the recipe first. After that, I totally learned my lesson! Never bite off more than you can chew. This is a tougher one because when you start out, you don’t actually know how much you can “chew”. My best advice is to start small. 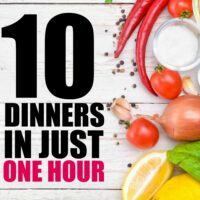 Ten “dump cooking” (freezer to slow cooker) recipes in an hour is a great way to start! Or by making a double batch of everything you cook for two weeks and then just repeating that menu for the last half of the month. Of course, that’s not what I did! I started freezer cooking with once a month cooking, which means I made 30 breakfasts, lunches and dinner for our family of 4 in one day. It took over 12 hours and I was completely miserable. I had planned for it to take 8 hours, so going 4 hours over was pretty rough. That doesn’t count time to clean the kitchen and do the 4 loads of dishes that I created. While not having to cook for a month was pretty awesome, this isn’t the way you want to start freezer cooking. Start small and build up to that when you get the hang of it. Fun Fact: This is the single worst freezer cooking mistake there is. Making this mistake almost guarantees you won't try it again. Never skip preparation and assembly instructions. This doesn’t apply if you’re setting up your own freezer cooking session (side note: why in the world are you setting up your own? I get these from Freezeasy and it saves me so much time and effort!). When you make the decision to let someone else do the hard work for you (choosing recipes that are cost effective, combining shopping lists, figuring out time efficient order of preparation), let them actually do the hard work! I cost myself an extra 4 hours that day because I didn’t pay attention to prep and assembly instructions. A good planning pack will have you prep all your ingredients at once. Hint: Chopping, slicing, dicing, and mincing will take minutes versus an hour with a great food processor. Likely you’ll save enough in just your first month of freezer cooking to afford a good model with several options like this one. The planning pack will walk you step-by-step through how to cook as quickly as possible. If you’re doing a complicated meal plan (like the ones from Once A Month Meals), they’ll have you utilizing your slow cooker, oven and skillet all at the same time to work fast. Follow the order that they give you. Never try to do a large batch cooking session with kids under 10. It’s impossible. You’ll burn food, waste money, go insane and eat your feelings in a triple batch of oatmeal chocolate chip cookies. Ask me how I know. Now I get my husband to take the kids for major sessions. For easy sessions (like the 10 meals in an hour), you can utilize naptime or put on a beloved movie. If you're on your own and plan to do a large session, book some time at the babysitters (Even at $10/hour, you’ll likely come out ahead with your grocery budget but the time savings is really the benefit at that point). If you have another mom in a similar situation, see if she wants to do a trade. You can watch her kids while she cooks one day and she can watch your kids while you cook another day. As you get better at this, you should both be able to make meals for a month in just two days (one day for cooking and one for child care). Never leave clean up for the next day. This is so tempting! You’ve spent hours cooking, you’ve been on your feet all day and you're exhausted. You glance over at that giant pile of dishes and you kind of want to cry. Here’s the problem: If you leave them for tomorrow, all of the food and sauce in those dishes will be cemented on and you’ll spend three times as long scrubbing to get “semi clean” dishes. The best course of action is to clean as you go. Start your day with an empty sink and fill it with soapy water. As things need to be washed, stick it in the soapy water and fill the dishwasher as you go. Reuse as many dishes as you can (I have one large mixing bowl that I use and I quickly hand wash it between recipes) and start the dishwasher as soon as it’s full. I can normally get by with this system with one dishwasher load while cooking, and then starting a smaller load (mostly pots and mixing bowls) at the end of the session. Freezer cooking changed our lives. If you're reading through this and thinking, man this sounds hard! You're wrong. When you follow these rules, it's not hard. Just avoid these freezer cooking mistakes if you can and you'll be batch cooking in no time! It's definitely a new skill though that you'll have to adjust to like any other. Here’s the thing though, once you get the hang of this… dinner is so easy! 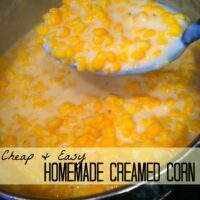 You just pop something into the microwave for a quick 10-minute meal, warm something in the oven during the weekend or dump a bagged meal into the slow cooker while you're at work all day. Following the rules, you’ll grow to love this super convenient and cheap way to feed your family healthy and homemade meals in about the same amount of time that it takes you to go through the drive thru! 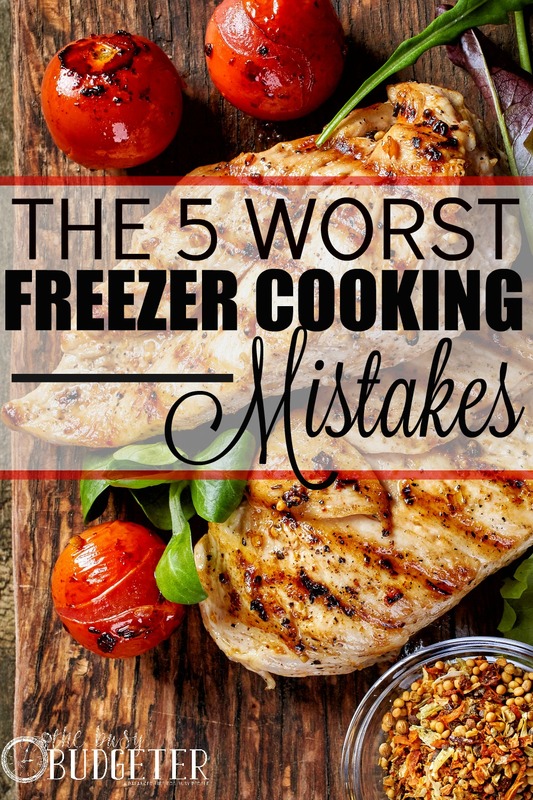 Have you ever committed one of the 5 worst freezer cooking mistakes? “Never batch cook a new recipe”. I’ve learned that the hard way! This is a great list. I am a single person, so freezer cooking isn’t so necessary for me. But I like to do it so that on the days I don’t feel like cooking, I can easily microwave something I previously cooked. I really like your advice about cleaning as you go. Totally worth it! 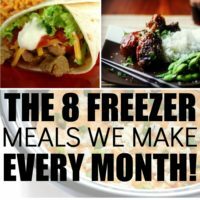 Melissa recently posted…Week 1 – Freezer meals & budgeting!! After 21 yrs of marriage, I finally figured out freezer cooking! Now I’ve cooked extra meat, beans, and even doubled meals and frozen them for years, but I never cooked like I am now. See I like to cook about 3 days a week. I’m happy and love it and all is well with making for my fami ly. The other 4 days….nope! I hate it. I’m full of I don’t wannas! So now I plan to cook in batches on my happy to cook days, and enjoy the not cooking on my hate it days! I plan out my cooking and meals, and sometimes it is just batch cooking meat or beans or enchilada sauce, and sometimes it is filling bags with dump and go meals, and sometimes it is making 4 of some dish in a foil pan, and sometimes itis baking away to fill the freezer with yummies, and sometimes I go all out and do several things at once! But I spend usually 1-3 hours, and then I am done, and we have dinner for tonight plus more in the freezer….and I am happy and accomplished. And happier still when the I don’t wannas surround me, and all I have to do is grab something and thaw it, and heat it!